Regas Woods, a congenital bilateral above knee amputee and Paralympic athlete, sent us a photo of him with a pretty incredible new friend. “I met the coolest little famous guy in the airport this morning,” wrote Regas. His name is Zion Harvey, and he’s the first kid to have a bilateral hand transplant. He also has two prosthetic legs. 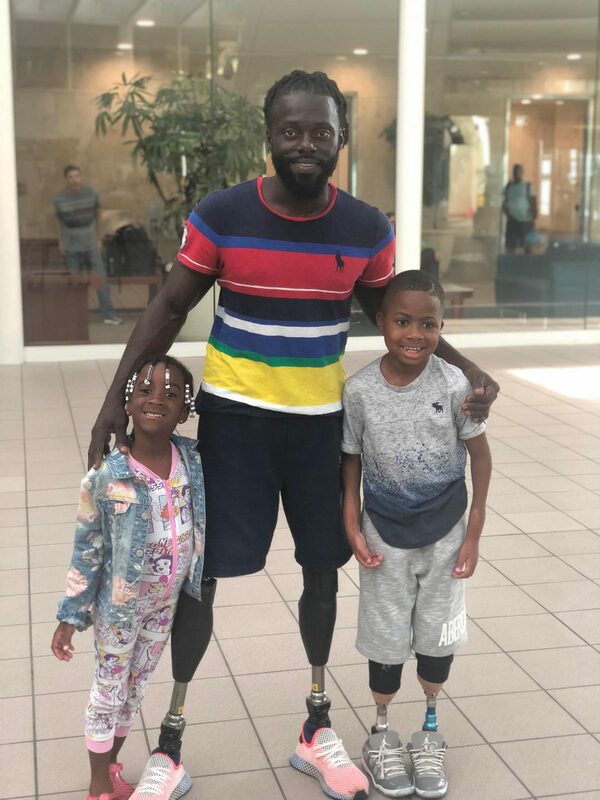 Zion was really excited to meet someone like Regas who excels at competitive sports, even though he has two prosthetic legs. Check out his story below. Previous Previous post: Marko Cheseto, bilateral amputee: Future Marathon Man?